If you read my blog frequently you’ll know I’m bit of a skincare addict. I’m constantly talking about lotions and potions, but something I’ve only just started using properly is serums. I never used to understand how important they were in my skincare routine, and didn’t really know what ones were best for me. I was recently lucky enough to be given the chance to try out Avène’s Soothing Hydrating Serum from Escentual.com, a great French skincare brand that I’ve not had the chance to try. I’ve never really heard of Avène, so I wasn’t too sure what to expect from this serum, but once I started using it I found I couldn’t stop. The first thing I was impressed with was the packaging. I really like pump dispensers, as it’s really easy to control how much you use, and it’s a lot more hygienic. It also has this frosted glass kind of look, which I think looks really pretty. 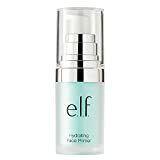 The serum itself has a nice texture, not too greasy which I’ve had a problem with in the past, but I find it thick and hydrating. I often have dry skin that feels a bit “meh” and dehydrated, and I’ve found that using this twice a day has really helped to make my skin feel softer, smoother and more moisturised. I’m glad I was given the chance to try out this Avène Soothing Hydrating Serum as it’s really made a visible difference to my skin, and I think it’s a product I’ll be keeping in my skincare routine for sometime! Avène’s Soothing Hydrating Serum retails for just £17, making it an affordable addition to my skincare routine. Avène products have impressed me so far, I’m now eyeing up some new products to try out!